For those of you who haven’t heard, iPlayer will soon require a TV licence. The BBC have said they will be enforcing this with “detector vans” that can tell when someone is watching iPlayer without a licence (though it remains to be seen if they actually work). 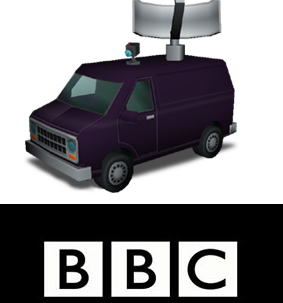 Personally I like to think of these vans like the old surveillance vans from PS2 “Simspon’s Hit and Run” game, but aside from wanting to look like a cartoon villain why would the BBC want to do start trying to crack down on iPlayer? This is an attempt to fill the ever growing hole in the BBC budget, as around 1000 homes a day decide the licence fee just isn’t worth the money. This is nothing new as the BBC has been competing with Youtube (and other services) for over a decade now. Traditional TV viewing and most “old media” has been in decline for years and with the average age of a BBC viewer now being 59 years old this doesn’t seem like it’s going to change any time soon. Here is where I say “the way we view TV is changing” but let’s be honest, it’s not. The way we view TV changed years ago and the big companies are still trying to catch up. The TV licence is under heavy fire at almost all times, but with 85% of the BBC’s content being repeats, high wages for bosses/stars being a reoccurring headline and it’s disconnect to younger viewers, isn’t that fire kind of justified? “They don’t take any risks, and they want to take less risks…..If they took more risks they might hang on to more of their audience” Frankie Boyle about the BBC The big reason behind the fee is that it is meant to allow the BBC to be impartial. If taking advertisers money stops you being impartial, then I’d hate to think what taking government money means for your news coverage. Though that last comment is meant slightly tongue in cheek let me ask you this, when was the last time the BBC had an actual satire program? With shows like “this week tonight” in America showing there is very much a market for this kind of work, and with the BBC’s rich history of “that was the week that was” and “spitting image” proving it certainly can make this work, why is the closest we can get mock the week? Even the BBC’s former personalities criticise it’s lack of coverage of real issues, and if you have some spare time I’d certainly check out this Frankie Boyle interview on the state of the TV nation. If you live in the UK you probably know everything I just said, so instead of talking about all that lets look at the cold hard numbers: Netflix : £71.88 per year (Standard £5.99 a month)/ £89.88 (HD £7.49 a month) Amazon Prime Instant Video: £71.88 per year (£5.99 a month)/ Free with Prime TV License Fee: £145.50 (£49.00 for Black & White TV’s) The fact that there is even a black & white TV option screams “dated” but that aside can you really say the BBC offers good value next to it’s alternatives? Well 500,000 of you a year say no.